Border Control, 2016, audience participation and printed matter, dimensions variable. Border Control brings together elements of documentation, text and audience participation. It takes its inspiration from the border control gates at Miami International Airport, which marked Dylan Fox's entry in to the United States for Top Surgery in March 2016, and is closely linked to the idea of authorization and control within the UK NHS Trans-healthcare system. 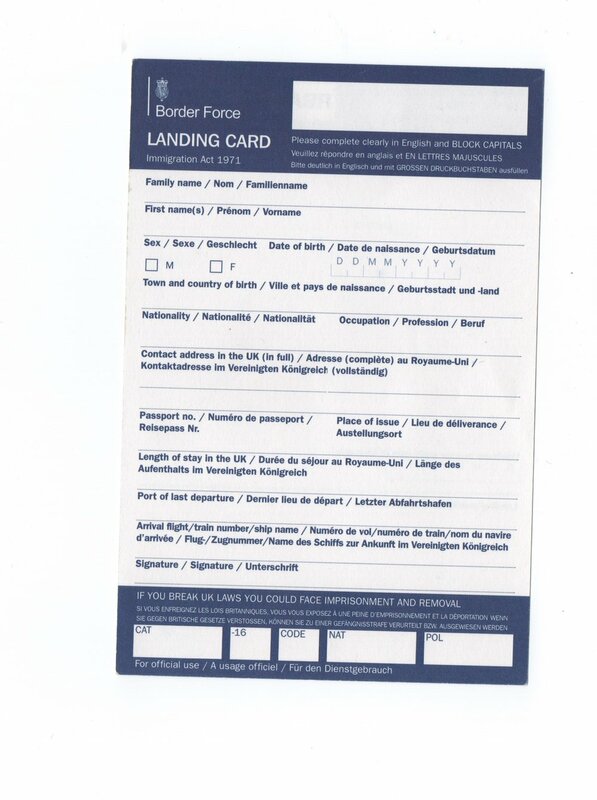 Upon arrival, each participant to this piece is required to fill out an edited Border Control Landing Card whilst queuing for an indefinite amount of time, in order to move forwards towards an undefined ‘next step’. These cards have been designed to encourage dialogue around trans issues, with the official title of the Immigration Act of 1971 being replaced with the Gender Recognition Act of 2004 as well as offering participants the opportunity to declare their preferred pronouns rather than socially recognised ‘norms’. When each participant reaches the front of the queue a border security officer will either approve their entry, or void their card requiring them to start over with the process. Regardless of how each card is filled out, or the participant’s eligibility to move forward, it will be up to the border security officer to authorize or deny this step of the event. Even the successful participants that are allowed past the security gate will be met with disappointment when they realize that there is nothing beyond that point, and their time spent waiting has been for nothing. Either way, each participant will be allowed to keep their completed card, which will be stamped by the border security officer, and given a warranty seal to confirm the validity of their newly required Landing Card. Less people will be denied access than granted, meaning the voided cards will have a higher value, which poses an interesting dilemma between wanting to gain access and also wanting to be denied. This piece has been developed to make each participant wait for some time before being told what the next step of their experience will be, without them having any direct control over that experience. Participants will receive a unique experience that will put them in a privileged position over everyone else, but ultimately the sense of disappointment after participating in this event is key to understanding some of Fox's experiences during transition. 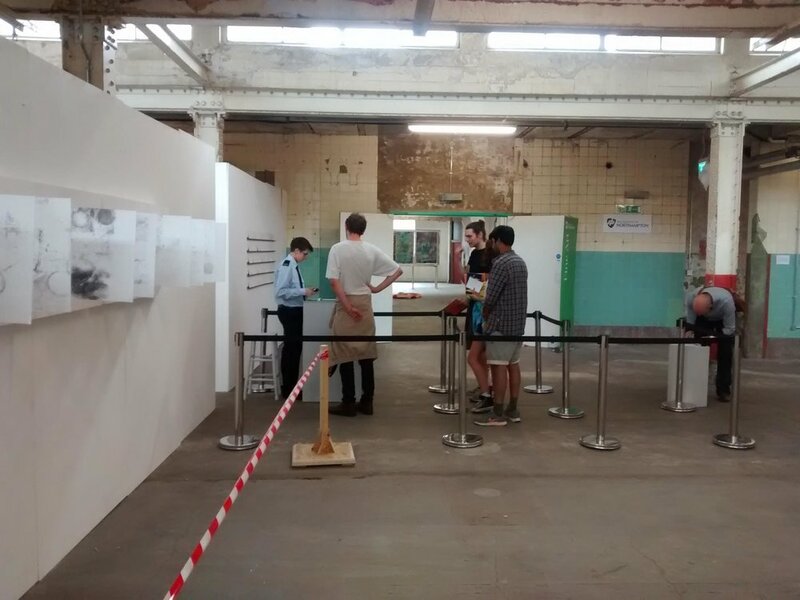 Border Control was awarded Best In Show at Freerange in 2016, at The Old Truman Brewery.